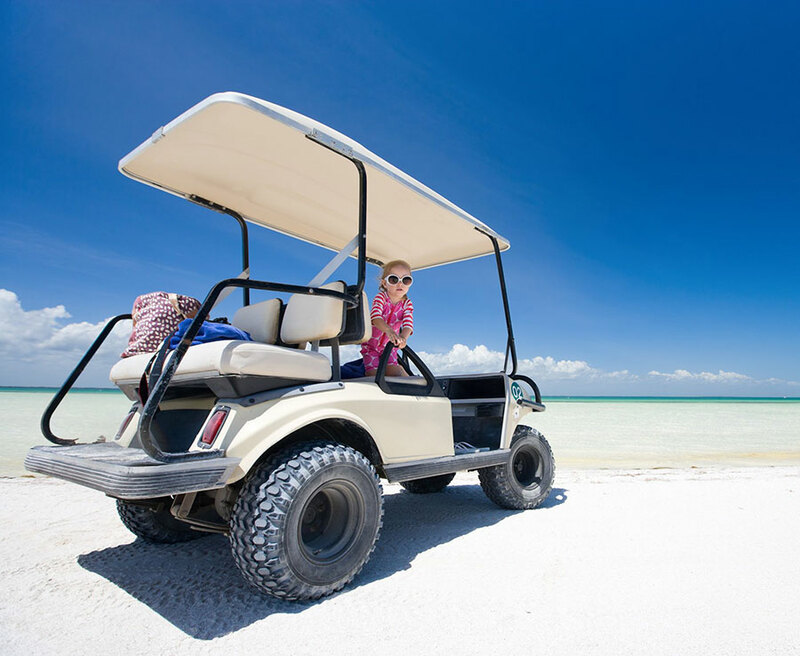 Guests staying in Puerto Aventuras have the option of renting a golf cart. The gated community allows them on the streets making them quite popular. Whether just for fun, for the ease of getting from point A to B, or for those with mobility issues, a golf cart rental can be useful. Use the form below to contact us for more information or to make a golf cart reservation.